A fruity and powerful expression of Arran single malt that has been finished in the finest Port wine barrels. Like all other Arran single malts this is not coloured or chill filtered. Nose Quite like many Irish whiskeys on the nose. There are some lovely sweet, fruit notes of strawberry shortcake, mandarins and apricot jam. 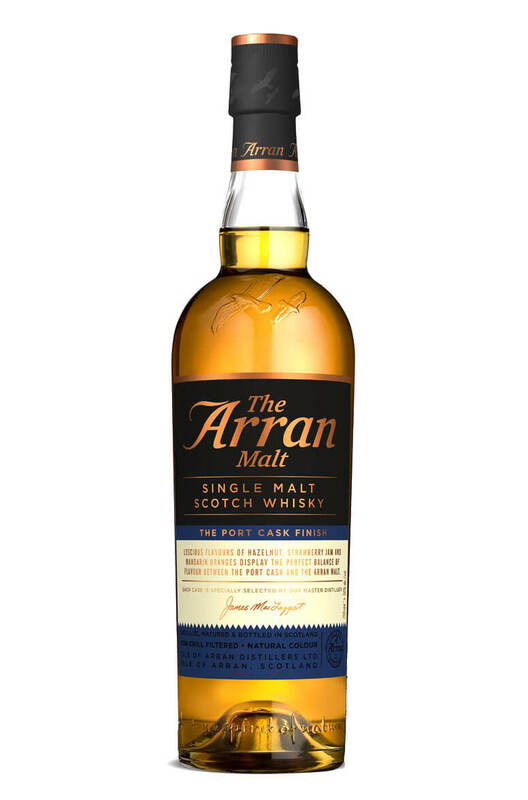 Palate A great combination of the classic Arran maltiness and more of those sweet fruit characters. The Port cask use is subtle enough to not overpower the distillery character but has added welcome touches of fruit cake, strawberry flan, apricot and peach. Finish Becomes more spicy with some flavours of milk chocolate, cinnamon and vanilla. Only now am I reminded that this is bottled at 50%! Additional Information Uncoloured and non chillfiltered. Types of Barrel used for Aging Initially aged in traditional American oak barrels before being finished in the finest Port wine casks.